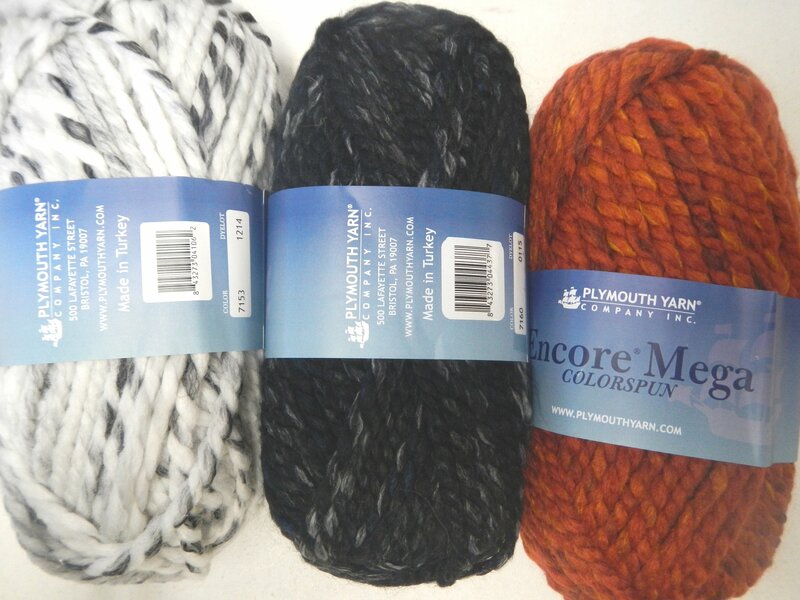 For those wanting to knit at a big gauge of 2 sts/inch this is a great option for a machine washable at an affordable price. 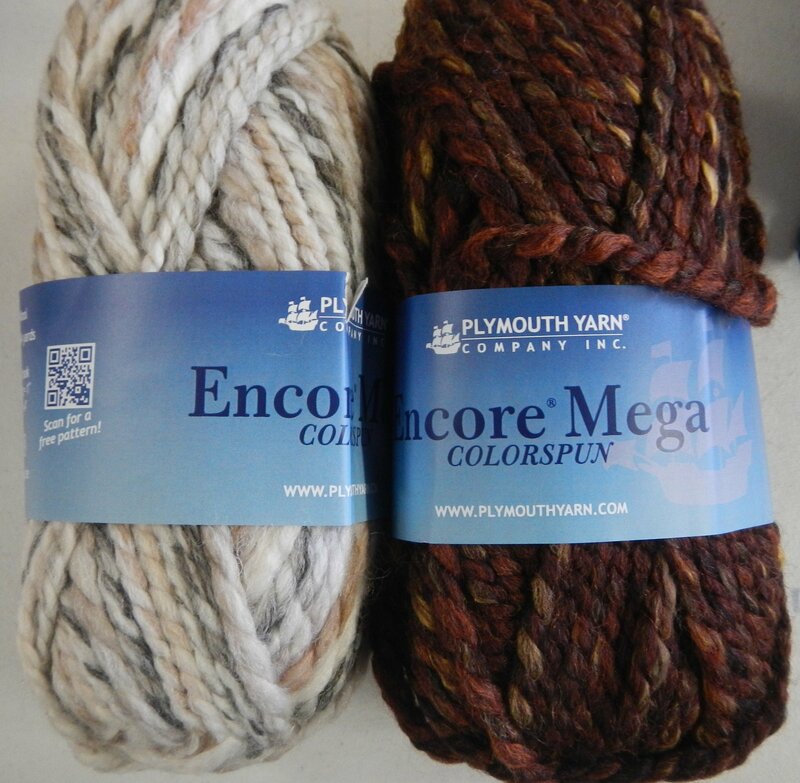 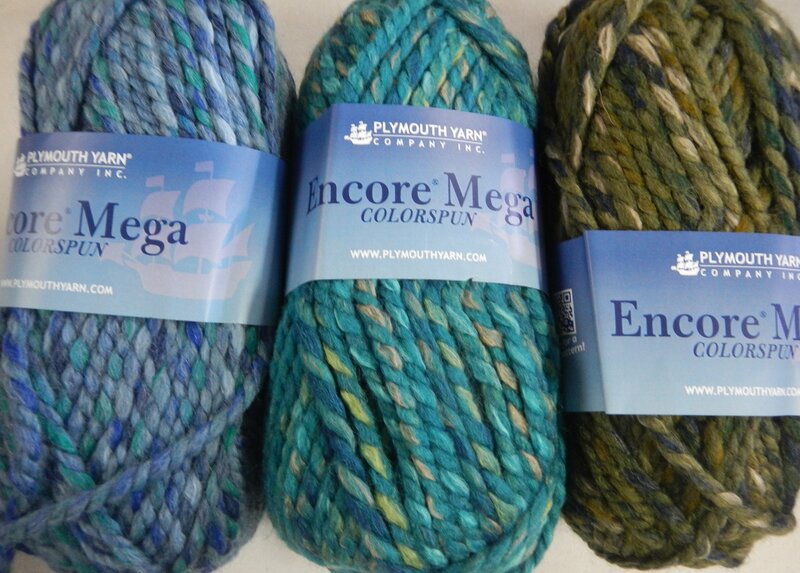 Encore Mega is recommended at 2/inch on US 15 and each skein has 64 yards. 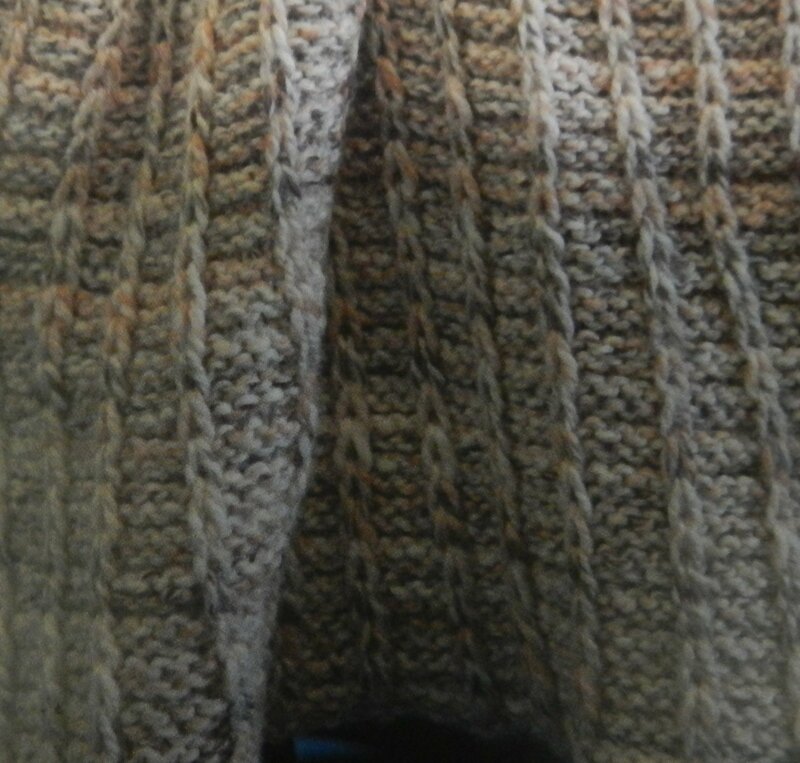 The afghan closeup shown below gives you an idea of how the 5 Colorspun options work up. 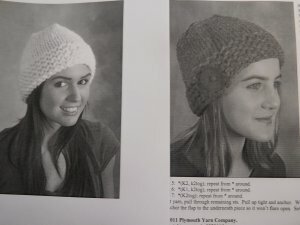 The hat patterns shown below each take 1 skein and are free with the yarn purchase. 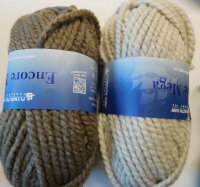 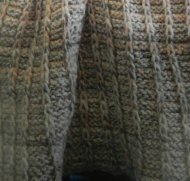 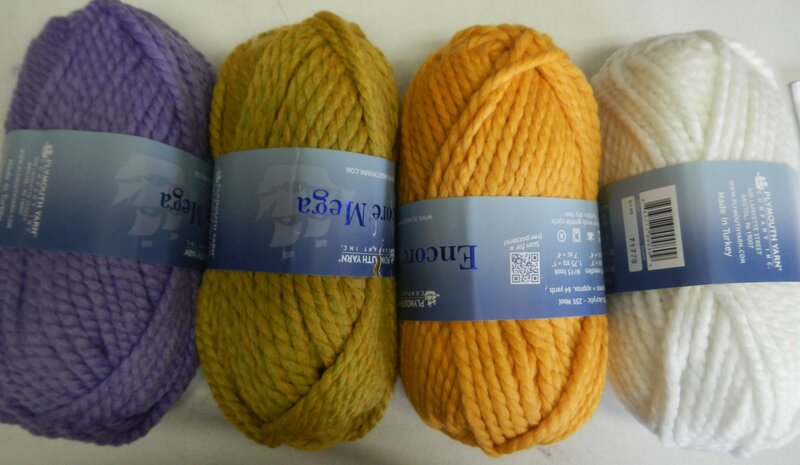 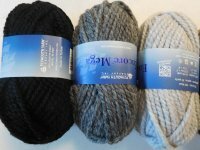 If you're looking for 100% wool at a similar gauge, check out Lana Grande by Cascade for another very affordable option. 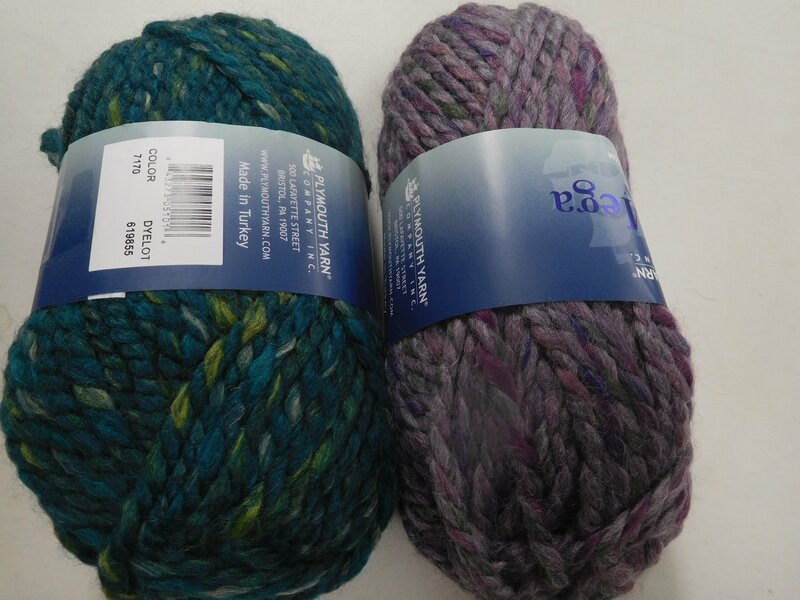 We also have Ella Rae's Lush hand-dyed at the store.